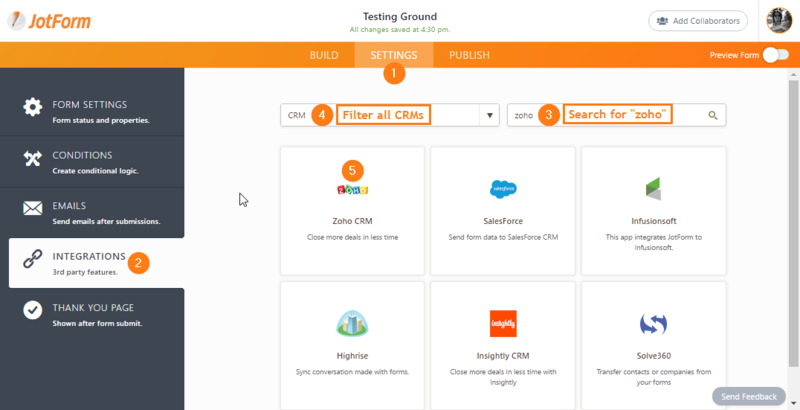 Zoho CRM is a customer relationship management service to help observe your relationships anywhere from some popular social networks to mobile phones. 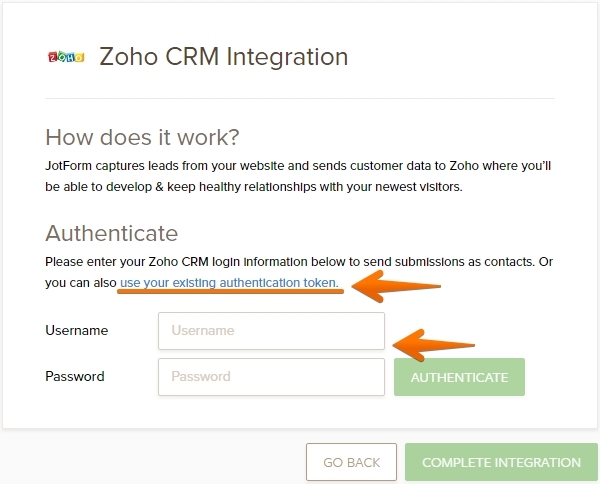 JotForm captures leads from your website and sends customer data to Zoho where you’ll be able to develop & keep healthy relationships with your newest visitors. 4. With Zoho, there are 2 ways to authenticate your account. It's either by using your Zoho login credentials or authentication token. 5. 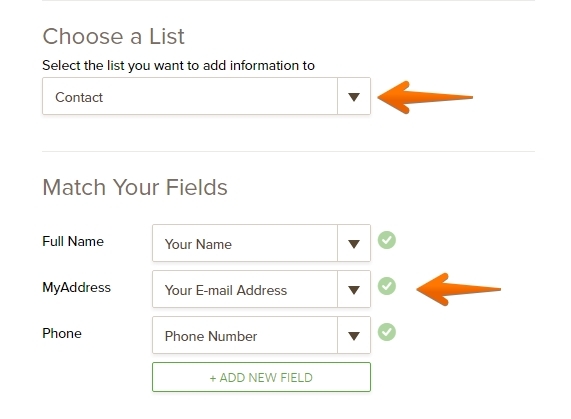 Next, select whether you want to send the form data as leads or contacts. Then map the fields you want from JotForm to Zoho. Duplicate Record Check - Select whether you want to updating existing record, don't add the record or create duplicate once duplicate submission is found. 6. Complete the integration and you're good to go. With Zoho Integration, not all field types are supported. As much as possible, use the Full Name, Email, Address and Phone Number fields. They work best as counterpart fields in Zoho. Fine these steps, but How can I use the Zoho inside the form? Can you use the integration on a trial or not? I want to include the telephone country code in the data that is passed from JotForm to Zoho, example +61 for Australia; the full telephone number is passed thru to Zoho but the + symbol gets dropped or ignored somewhere along the way. The + symbol is needed for an automatic dialler that's used by a call centre. I don't know where I can find my username in Zoho...Any clue? 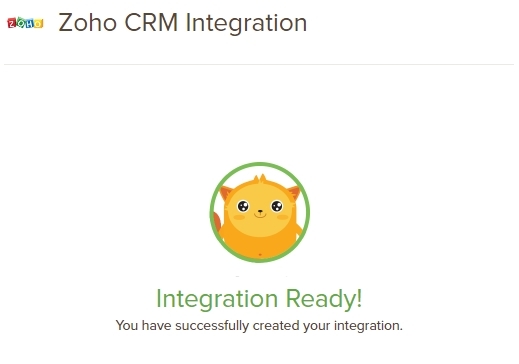 Can JotFrom integrate with custom fields in Zoho CRM, or only the standard fields? I am met by this message when setting up to Zoho CRM - what does it mean EXCEEDED_MAXIMUM_ALLOWED_AUTHTOKENS?